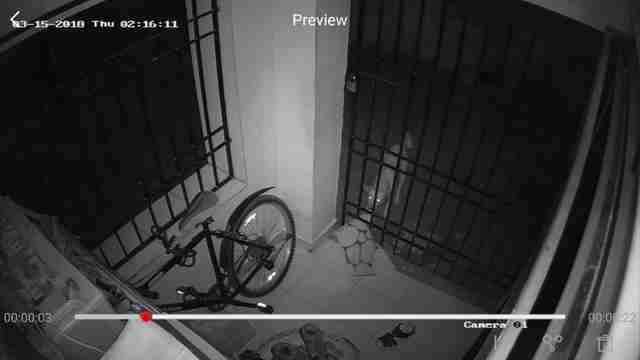 "The unrepentant face as he pulls off a midnight robbery ..."
Last year, something really perplexing and annoying started happening to Senthil Nathan of Chennai, India. The doormat on his front porch kept disappearing. A thief (with an odd taste for loot) was clearly afoot — but Senthil and his wife were at a loss as to whom it might be. "We stay in an apartment on the ground floor, so a lot of people keep entering the apartment every day. We thought it might be one of them," Senthil told The Dodo. "We also suspected our neighbor's cat because it sometimes sleeps on our porch when it's raining outside, but didn't think it was capable of dragging it away." The culprit behind those unusual thefts remained a mystery — that is, until recently. 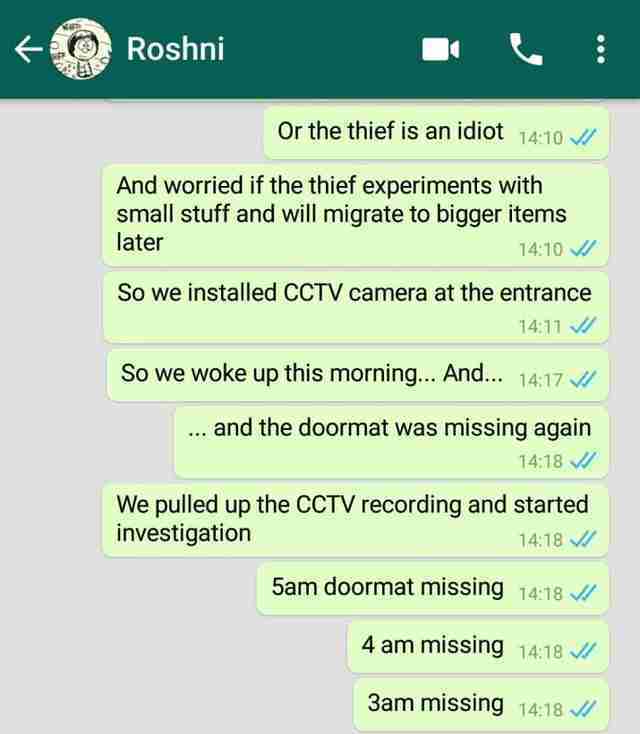 Here's Senthil explaining to a friend how he ultimately cracked the case. So, who was it behind that robbery, and presumably all those before it? It was this dog. He'd been caught red-pawed. Uncovering the adorable true identity of the brazen porch thief, after months of being tormented by the mystery, almost made it all worthwhile. "My wife and I saw it together," Senthil said, "and began laughing as soon as we saw the dog enter the frame." Turns out, this dog isn't a stranger to Senthil. He's one of several who are known to roam around his neighborhood during the day, greeting locals and keeping watch over things in exchange for treats. Little could anyone have guessed that his early-morning work was a bit less honest. But now, the world knows the truth. 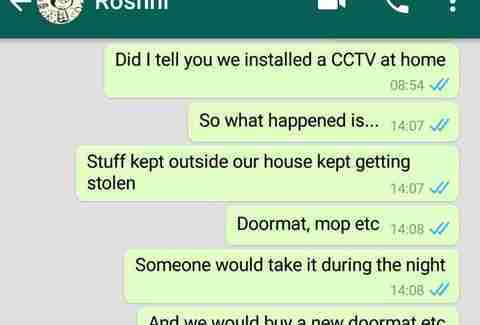 Senthil posted this chat on Twitter, and it has since gone viral. 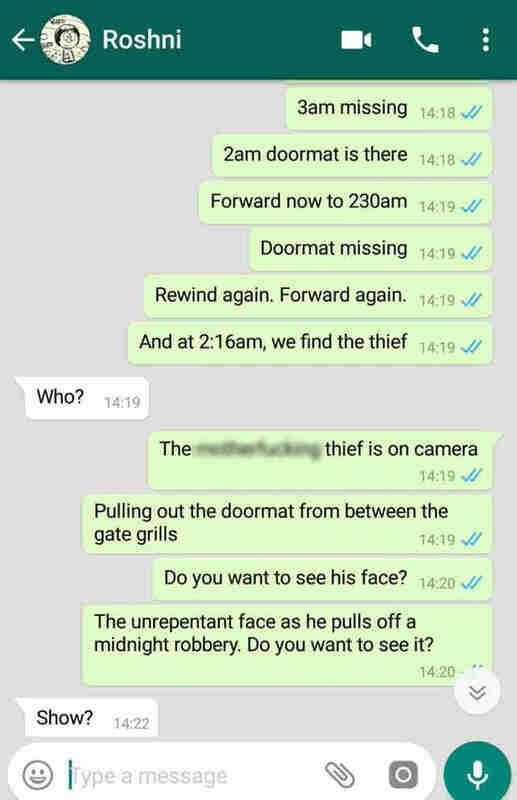 As for that furry thief? "He is doing fine. I saw him and his friends yesterday. He doesn't even know he is now famous on the internet," Senthil said. 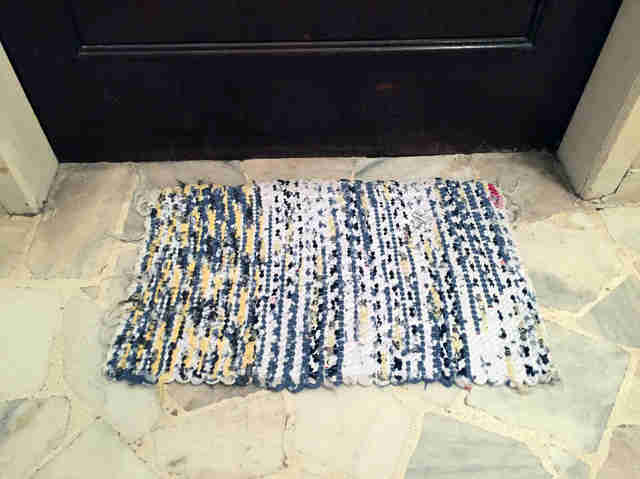 "We were happy that the doormats are being reused by someone rather than being sold for a few bucks by some thief. We are planning to buy a bunch of doormats and leave them out for the dog to take, without having to pull them out of the gate."